“Mindfulness” is a bit of a buzzword right now, but that doesn’t mean that you should discredit it. Being mindful is one of the best things you can do for your body and mind! But you might not be sure what it is. 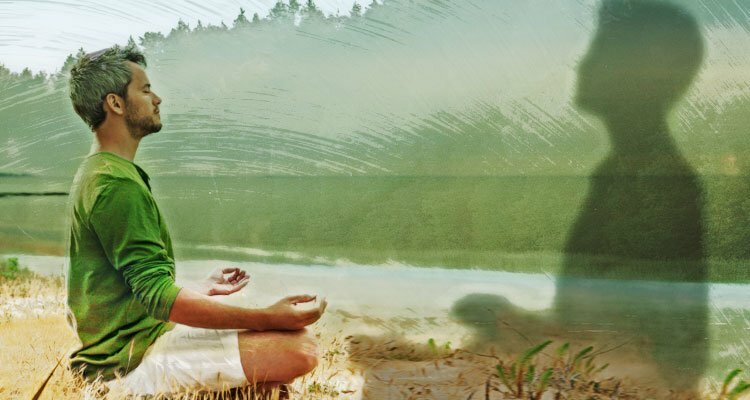 Is mindfulness just being more aware? Or does it mean clearing your mind? Being mindful, in one sense, is like simplifying things. Normally we try to multitask all day, worrying about 20 things while doing 10. That doesn’t work too well. Being mindful means focusing on the present moment. Being fully here. It allows you to attend to what’s going on right around you and inside you. So it simplifies things because you can just enjoy the present moment. You can meditate to be more mindful, and you can practice it throughout your day. Whatever you’re doing, give it all of your attention. Be proactive about putting down your other worries and being present in what you’re doing and who you’re with. You’ll gain inner peace, happiness and feel ‘uncluttered’ in your life. Mindfulness a gift that we don’t give to ourselves much. In fact, our society teaches that we should be getting as much done as possible all the time, which leads to burnout, stress, health problems, and lower productivity. Mindfulness, on the other hand, offers the opposite, so let’s take a look at all the benefits of mindfulness. Let’s start with the biggie. In today’s world, we really battle stress from all sides. If we carry around all the things we have to worry about, our mind never gets a break. That’s why so many people are completely burned out, feeling down, and stressed to the point of panic attacks or needing medication. As you can see, trying to keep everything on your mind leads to all kinds of problems, resulting in lower productivity and even worse things. We might even feel guilty if we forget to worry about something. Do you ever do that? You’ll finally get absorbed in something and it feels really nice, but then you remember all the things that aren’t resolved, and you feel guilty for letting yourself have a few minutes. But you need those minutes! Being mindful and present will allow you to get absorbed in what you’re doing, give it your full attention so you can do better, and you’ll feel more clear and mentally energized. Your body and brain weren’t made to handle constant stress. It’s so much healthier to be present and put aside the other pressing thoughts. Challenge yourself to be mindful in one activity a day: a walk, meditation, making a craft, writing, drawing, singing, or something else you enjoy. See how it feels to let yourself be fully present with that one thing and not having thoughts about anything else. And then see how you feel the rest of the day. Being mindful and present lowers our stress levels and also centers us, bringing many health benefits. You might notice that you’re calmer after practicing mindfulness, your head feels more clear and focused, you’re more productive, and more alert. Being mindful greatly benefits your mind, and that in turn benefits your body and overall health. People who practice being mindful have higher brain function, an increased immune function, lower blood pressure, lower anxiety levels, and are calmer. We’ve heard this for years, but experts were talking about meditation and yoga. Both of those are ways to be mindful! When you decrease stress and improve your health, that can help with depression. Mindfulness does that and more. It’s been considered an effective part of overall depression treatment for a long time. Being mindful often helps people see and acknowledge their feelings, and that leads to better coping. Being mindful and let you say, “I see that I’m feeling that way, and that’s okay.”Being mindful engages the observant self, so you can notice how you’re feeling, and what you’re thinking, but not get completely sucked into those feelings. You can step back and analyze the situation better. Neuroplasticity is one of those fun words (in my opinion) that show you what they mean. Neuro, or brain, plus plasticity, or being flexible. Think about how plastic can be soft and pliable. Being mindful helps your brain increase its ability to change and adapt, which is pretty important to our survival even though we’re not back in the caveman era. In a simple sense, neuroplasticity refers to how our brain grows, learns, and changes. When we change our mind or learn new things, we actually make new pathways. But this has bigger scientific implications. When someone has a stroke and has to relearn how to walk, they’re actually learning how to re-circuit their brain around the damaged area. Imagine how much stronger your brain will be if you practice mindfulness and therefore improve neuroplasticity. That’s a huge advantage for dealing with all of life’s curves and for any brain damage you might suffer. Studies have found that mindfulness helps people with cancer and people with a chronic illness-even terminal illness. I can see why being in the moment more would help someone enjoy life day by day. Research has found that mindfulness helps cancer patients reduce stress while relieving fatigue. For many, mindfulness increases our spirituality and sense of purpose, and it helps people handle their emotions regarding their illness. Mindfulness can greatly improve life for people with chronic pain, such as low back pain. It helps patients focus on something other than the pain. We’ve seen all the ways mindfulness benefits our mental and emotional health. It also helps us physically when we need to recover from illness. This is probably due to all the other benefits of being mindful. We have better focus, we’re less stressed, we feel more at peace, and so we’re happier. We’re just healthier when we’re more mindful because people aren’t really made to multitask 5 things all day long and always worry. And teach you how to easily defeat any life problems that you may be facing. And it only takes 7 minutes! Laundry Detergent Is Toxic And Deathly!